While we usually do not bring you stories that are from elsewhere in the country, this is something that can happen to anyone who takes to the skies to travel. We are going to talk about a fated flight from Hawaii to Dallas. In 2016, a couple boarded a flight from Honolulu to Dallas. After about three hours into the flight, Brittany Oswell began to feel dizzy and was disoriented. Her speech began to slur. She fainted shortly after the symptoms began. She regained consciousness but vomited and defecated herself in the bathroom. At this point, a doctor on board directed flight attendants to tell the captain to divert the plane and land quickly. He knew there was something very wrong. The captain of the plane, after consulting with the on-call doctor for the airline, decided to continue the flight normally. Their mistake cost a life. About 90 minutes out of Dallas, Oswell stopped breathing. The doctor on board started CPR once the onboard defibrillator stopped working. The blood pressure cuff was also broken. Why did a doctor a 1,000 miles away get to make medical decisions when the doctor who was with the patient knew that the plane needed to land? If at some point in this seven-hour flight, the plane had diverted and landed, Brittany Oswell would probably be alive today. Instead, a family had to have a funeral. So many things went wrong. Why did the defibrillator, the only one on board, malfunction? How long had the blood pressure cuff been broken? This is a case of wrongful death. Workplace accidents – if employers do not provide proper training or equipment, they can create a dangerous work environment. If this leads to someone’s death, they could be held liable. Drunk drivers – impaired drivers are often the cause of wrongful deaths. They made the choice to get behind the wheel after consuming too much alcohol and became a danger to other drivers, cyclists, and pedestrians. Often overlooked are the bartenders and servers who continue to supply impaired patrons with alcohol. They can be held liable for deaths that occur. Crimes – if someone makes a choice to commit a crime and kills someone in the process, they can be held liable for wrongful death civilly as well as criminally. If a loved one has been killed and you believe it is due to someone else’s negligence or willful act, seek legal assistance immediately. You may be eligible for compensation for burial and funeral expenses as well as pain and suffering damages. 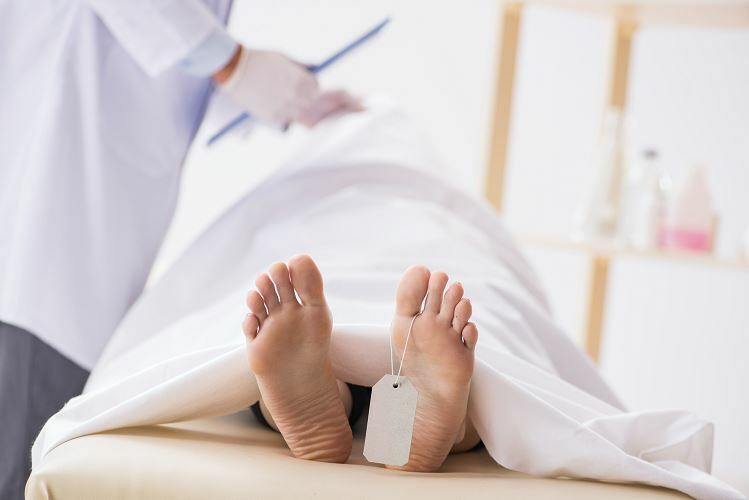 When you need a wrongful death attorney in Salt Lake City, you can count on the Jardine Law Offices. When you are ready, we are here. You can contact us by clicking here or calling us at 801-350-3506 for a free consultation.